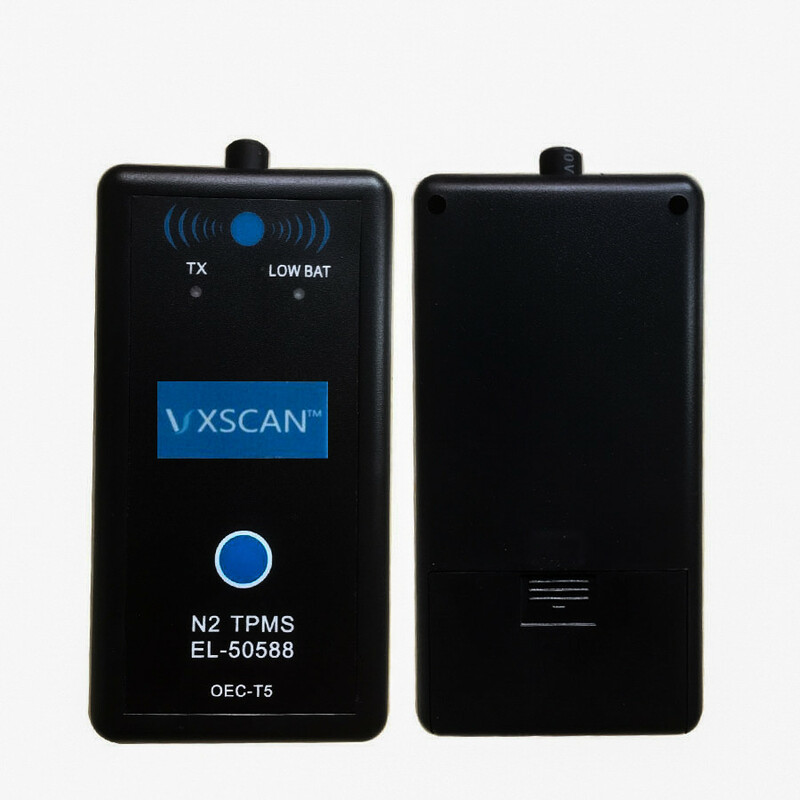 Shipping: Their US / Au warehouse has VXSCAN EL-50588 in the stock. 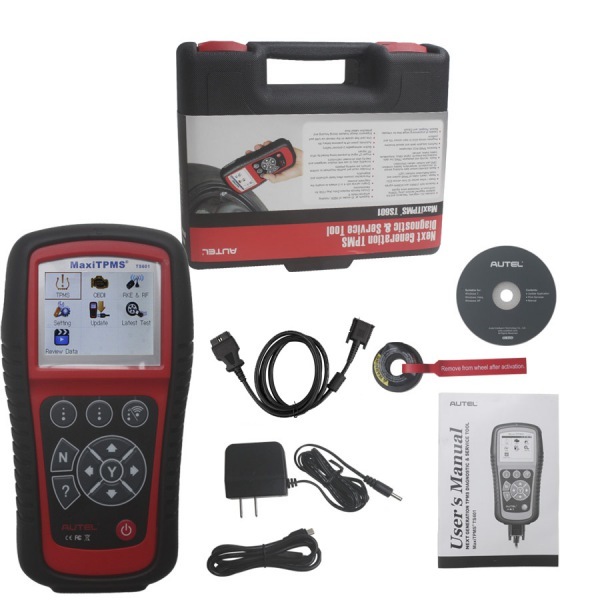 Before the tire pressure monitoring system works properly, the body control module will record ID information of each position in the tire pressure sensor; and follow the below method to read the tire pressure sensor after replacing a tire or wheel speed sensor. 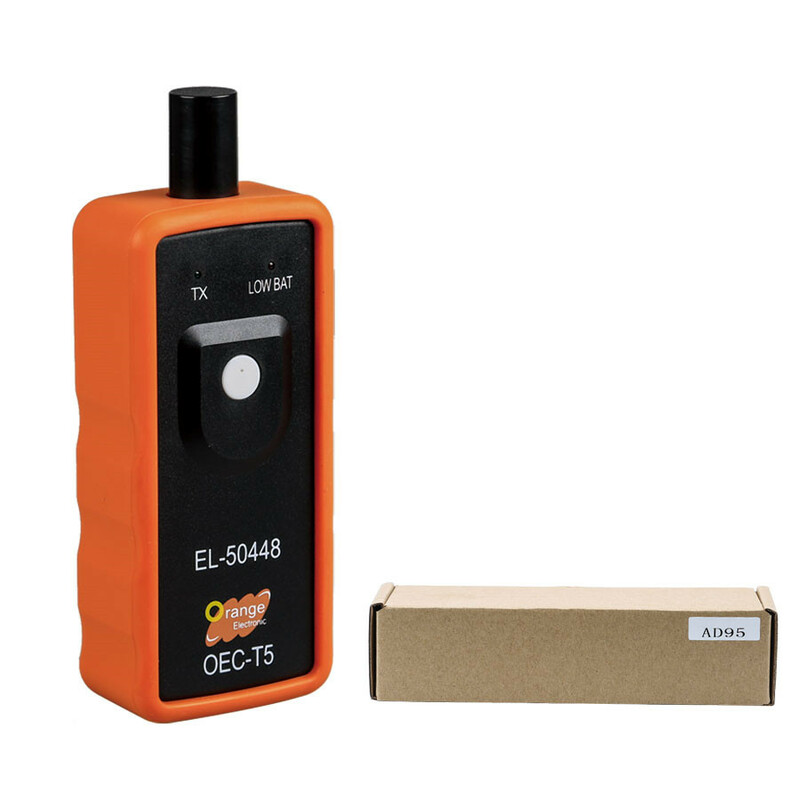 Many people are familiar with El-50448 OEC – T5 (Orange), and verified it is working fine even on GM 2017 year. 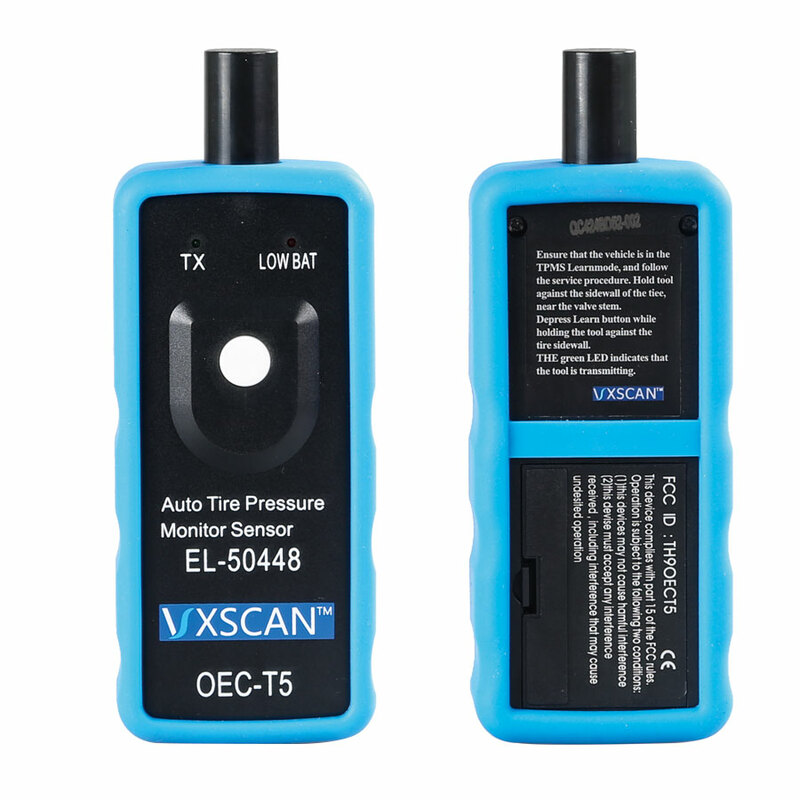 El-50448 works on all General Motors (Buick, Cadillac, Chevrolet, GMC), equipped with a 315 or 433 MHz Tire Pressure Monitoring (TPM) system. truck and my wife’s car and it only took a few minutes to reset all four wheels on each. PS: it works on not too much trucks, so please attention to. 2). With correct low battery display: I’ve never been able to get my TP sensors to program using the “let air out” method on my 2007 Tahoe. Before I had this tool, I would just remember which tires were which when I rotated them, but no longer. Now, I can reprogram them in just a few seconds and the dash display correctly indicates which tire is low. This tool should have come with the vehicle. 3). Easy to use: The operation of this product is simple and straightforward. As stated it’s hard to get excited about spending this amount of money just to rotate tires, but considering what dealers would charge, it would not take many trips service visits to pay for the unit. As far as working it does exactly what it says it will do with no drama. Put the vehicle in reset mode and push the button on the unit following directions outlined in the car owners manual. 4). I could not believe I needed a special tool to rotate my tires. From what I understand 2010 (2011?) and older vehicles, you can use any big magnet to reset your Tire Pressure Sensors. 2011 (2012?) and up to at least my 2013 Silverado, you need one of these gizmos. This one works like a champ, and is the one I found referenced through a GM website. 5). 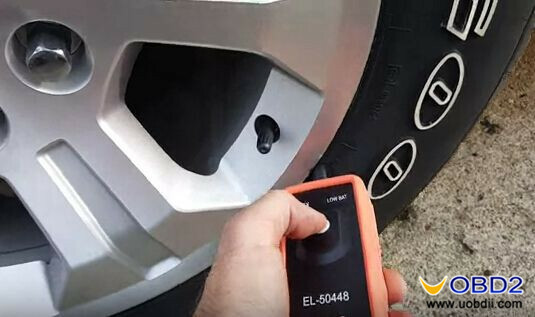 Wide GM vehicle coverage: The deflate method is verified ok only on Chevrolet Volt 2011 year, with the El-50448 TPMS relearn tool, I could get the 4 TPMS programmed in less than one minute. 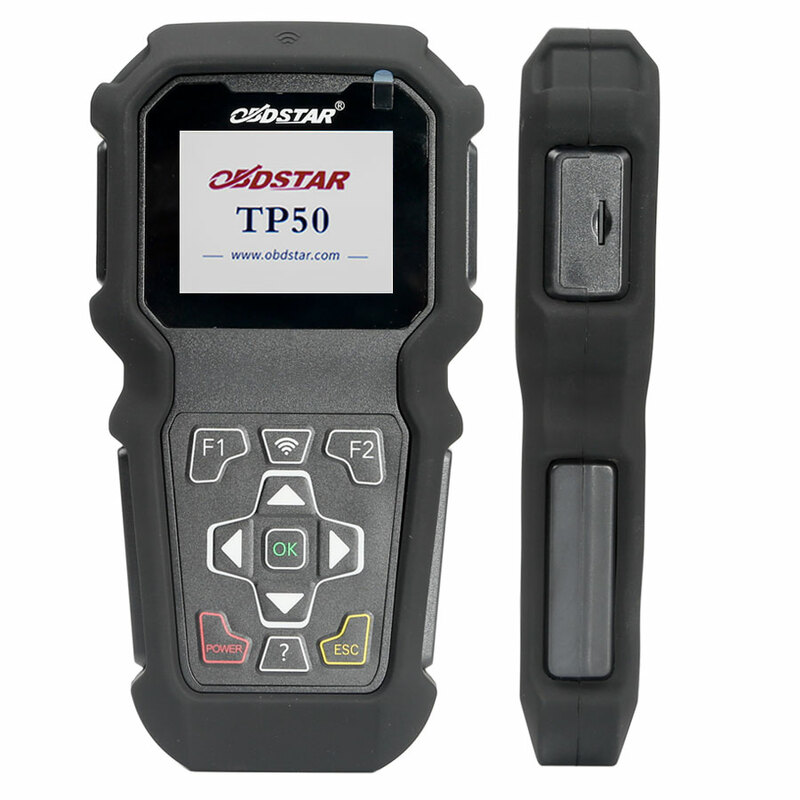 El-50448 could program TPMS on GM 2010-2013 year. $29.99 free shipping to all countries. ship from US. 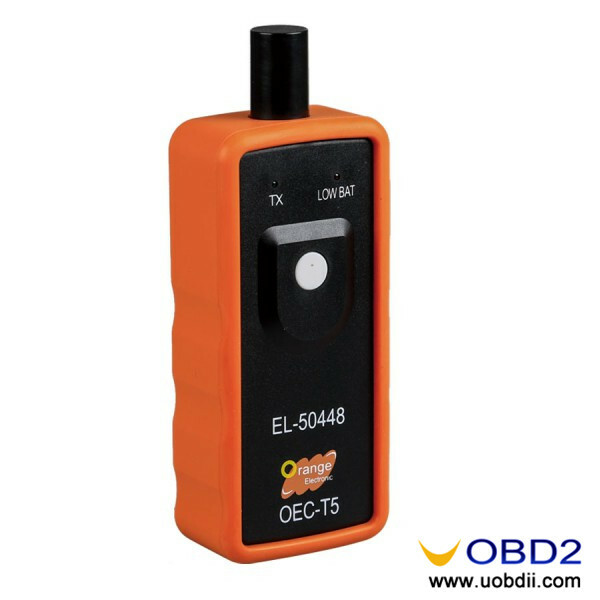 This one EL-50448 is made by VXSCAN Company, it performs as the same function on all General Motors (Buick, Cadillac, Chevrolet, GMC) as El-50448 OEC – T5 (Orange). It can also cover GM models up to 2017 year. They are made by different manufactures. $29.99 free shipping to worldwide, ship from US / AU.